The full spectrum of establishment propaganda involves mainstream broadcast local media repeating reports of a 'phantom' broken wrist of an SIA security without providing any details. 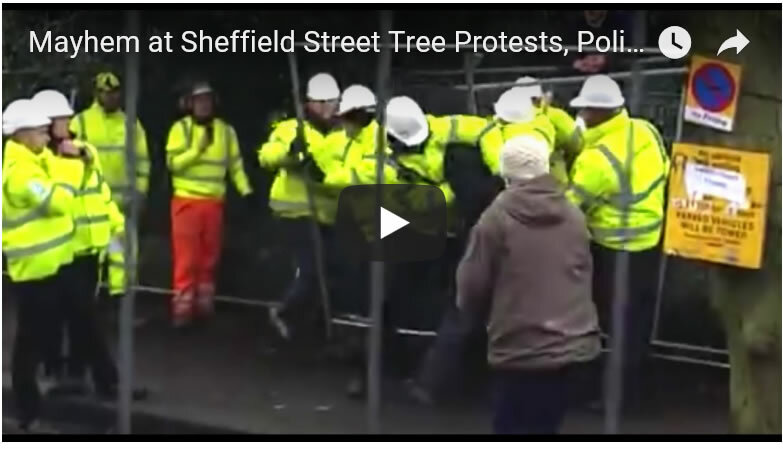 Whilst the only evidence of violence on the day in question is as the above video shows a protestor being punched at least 5 times, including an upper cut to the head. Maybe that is the origins of the 'phantom' broken wrist reporting? 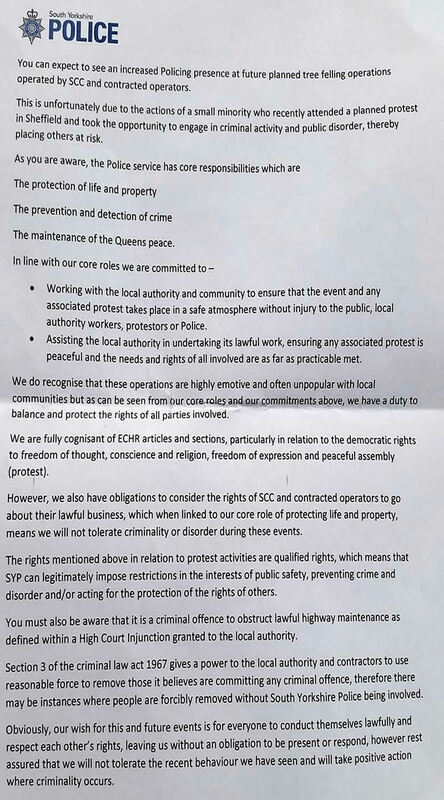 Continuing with threatening legal correspondence sent to prominent campaigners such as Simon Crump without accompanying evidence that matches the allegations made, and the police issuing a statement warning of taking a heavy handed attitude towards protestors with the statement clearly taking the line of attending sites in support of SIA security personnel in their use of force against protestors. 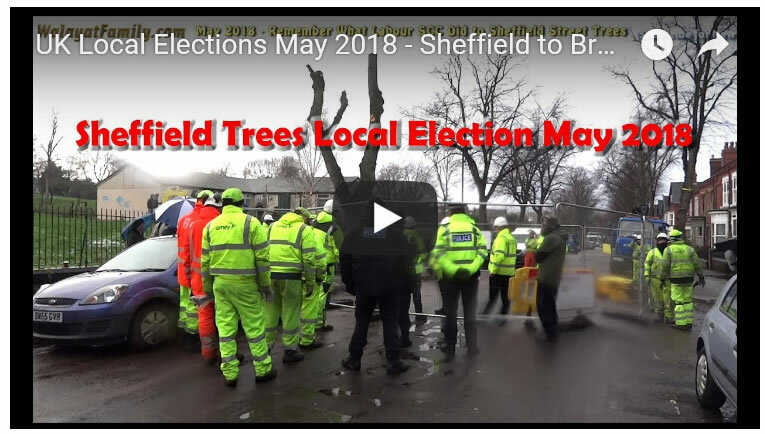 Sheffield's peaceful tree protestors are definitely going to have it rough starting Monday 26th of Feb as the establishment has decided that the tree protests will be brought to an end through use of force. All this whilst the cities Weston Park Museum celebrates 200 years of protests in Sheffield.